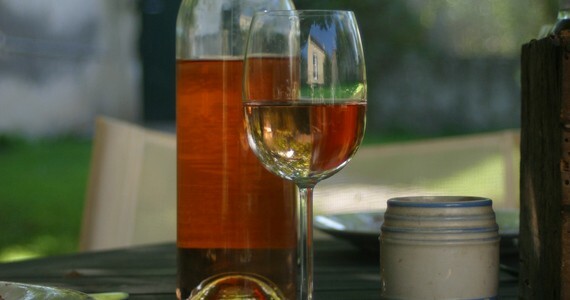 Sun, sea, sand… and rosé! 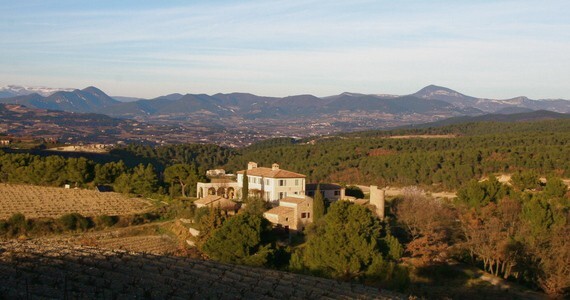 Provence is a very highly sought-after destination in the South East of France, bordering the Mediterranean Sea. Home to some of the most beautiful villages in the country, this stunning region is characterised by bright and picturesque scenery, breathtakingly beautiful beaches and mouth-watering, flavoursome cuisine. 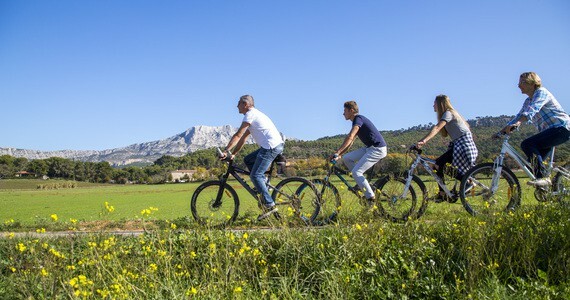 From exclusive luxury resorts for jet setters to unspoilt, rustic countryside for adventure enthusiasts, Provence really does have something for everyone! 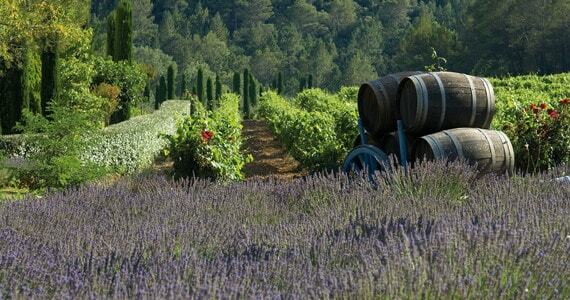 Below is a list of some of our favourite bases from which to discover the delicious wines of Provence. 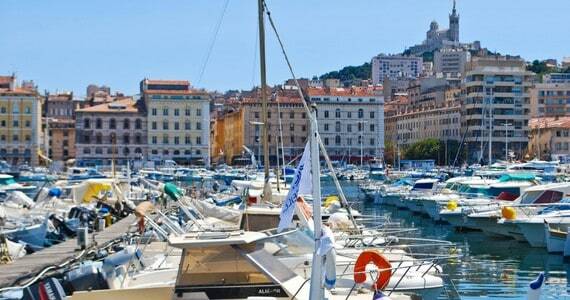 The Provence region’s capital, Marseille is the second largest city in France. Known as Massalia during the Greek and Roman empires, the city has always been a key hub for trade, and its large port has always played an important role in the wine trade. The jewels in this vibrant city’s crown include the charming Old Port (Vieux-Port) with its surroundings forts, Fort Saint-Nicolas and Fort Saint-Jean. Here, you will find a good range of cafés and restaurants as well as a daily fish market. Another sight to behold is the City Hall, which dates back to the 17th Century. Marseille Cathedral, located on top of a hill is a National Monument and well worth the climb to the top. The remains of the Abbey of Saint Victor are also quite impressive and bear testimony of the city’s colourful history. Marseille also boasts an extensive range of museums, such as the History Museum, the Cantini Museum and the Museum of European and Mediterranean Civilisations amongst others. For those who enjoy a spot of shopping, the Centre Bourse and its surrounding streets offer an astonishing range of shops and boutiques. 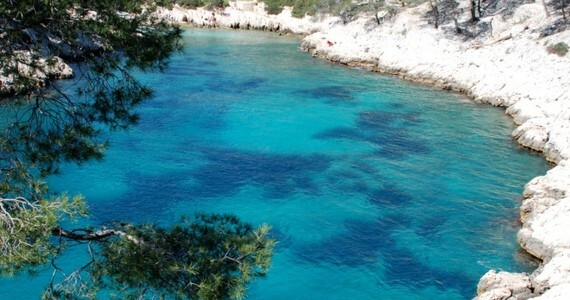 With a whopping 300 days of sunshine per year, our favourite activities include savouring a delicious bouillabaisse straight from the fresh waters of the port and marvelling at the amazing Calanques on a cruise along the coastline. 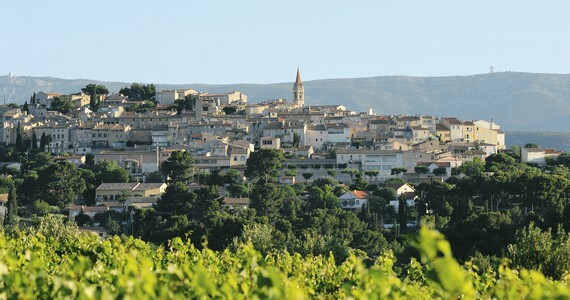 A few kilometres north from Marseille stands Aix-en-Provence, a delightful city founded by the Romans. The Cours Mirabeau is one of the city’s main streets and is renowned for being a lively, popular place with many bustling cafés, bars and restaurants. The Café Les Deux Garçons is the most famous Brasserie in the city. 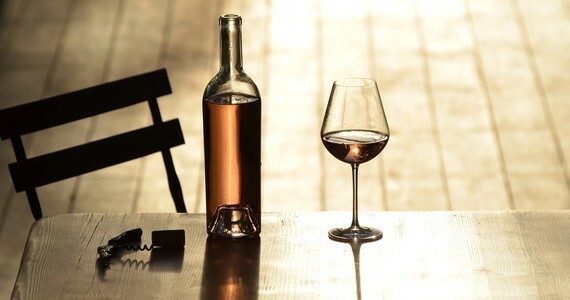 In the 18th Century, it used to be the meeting place of some the greatest French minds such as the painter Paul Cézanne, or the writers Albert Camus and Emile Zola. The Cours Mirabeau is also famous for its lovely fountains, especially La Rotonde. The Roman Catholic Cathedral is a stunning building with gothic and neo-gothic architecture as well as some Roman elements. It is built on the site of the former Roman forum. The archbishop’s palace and the cloister can be found right next to the Cathedral. Aix is also renowned for being the city of countless fountains. Why not visit the 17th Century Fontaine des Quatres Dauphins in the Quartier Mazarin – it’s a nice piece of art and certainly worth a look. Our favourite things to do in the city include browsing the array of confectionary shops to find the city’s best Calisson (the local speciality- a mixture of almonds and candied melons with orange blossom fragrance), and bartering with the eccentric characters who sell their wares in the daily markets. Enviably located on the Mediterranean seafront, Toulon is a major naval and military port, and an exquisite city to visit. Toulon’s historic centre is totally pedestrianised with quaint little squares and beautiful fountains. The Fontaine du Dauphin, the Fontaine des Trois Dauphins, the Fontaine de l’Intendance as well as the Fontaine-Lavoir de Saint-Vincent are definitely worth a look. A colourful market with fresh local products is held every morning on the Cours Lafayette. Place de la Liberté is Toulon’s main square and is a very lively and atmospheric place. 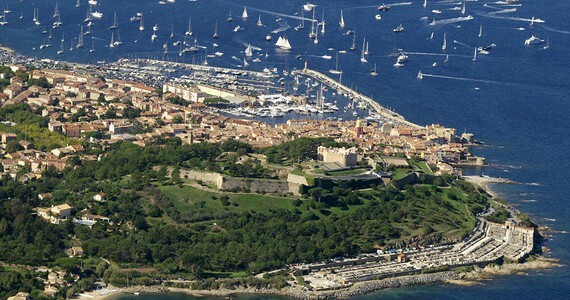 Another popular area is Le Mourillon district, which used to be a fishing village and is now famous for its 16th century Fort Saint Louis. 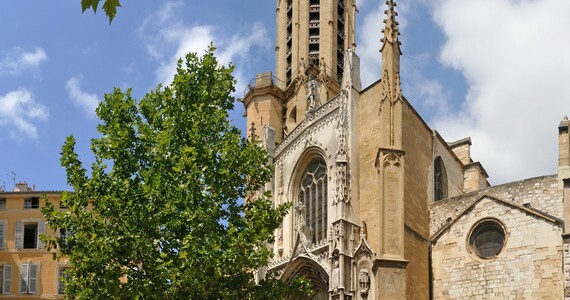 No trip to Toulon would be complete without a visit to the amazing 11th Century Cathedral and a performance at the Opéra, which is the second largest in France after the Palais Garnier in Paris. According to the legend, the name of the city comes from the Latin word for dragon. It is said that in the first century the bishop of the city killed a dragon and saved the inhabitants of Draguignan. The Tour de l’Horloge is a stunning tower which measures 18 metres and overlooks the city. This tower is the symbol of Draguignan and is open to visitors from June to the end of September. Another “must see” in the city is the Museum of Popular Arts and Traditions. Pierre de la Fée (the fairy’s stone) is one of the most important dolmen (megalithic tombs) of Provence dating back to 1000-2000 BC. According to the legend, women who could not conceive went to visit the fairy Esterelle who blessed them with fertility. 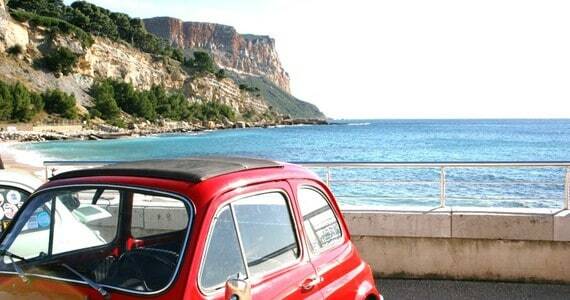 The picture-perfect village of Cassis is located east of Marseille on the Mediterranean coastline. 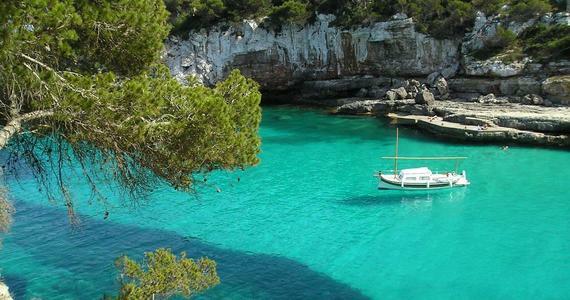 Its breathtaking cliffs and beautiful inlets called Calanques make it an extremely popular destination and gives visitors a true taste of the French way of life. 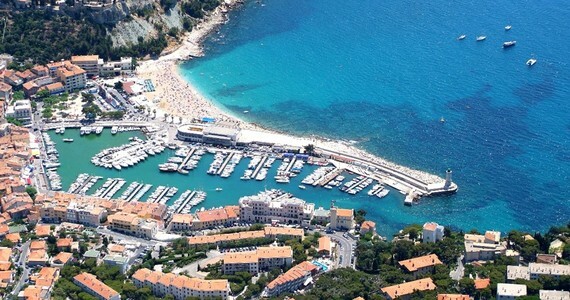 Here, you can expect to find Azur blue seas, quintessentially Mediterranean ports and flotillas of luxurious yachts which flood the docks at midday to enjoy a mouth-watering Provençal lunch in the quaint cafés which line the water’s edge. 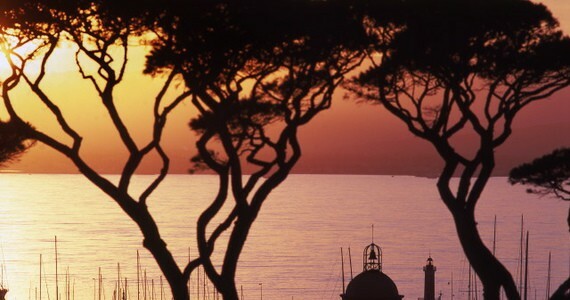 Located on the French Riviera, Cannes is one of the most famous French cities. 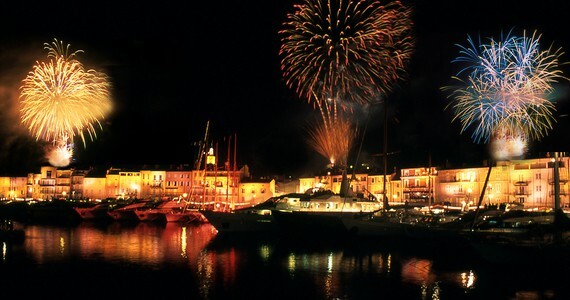 Hosting the notorious Cannes Film Festival every year, the city is filled to the brim with luxurious hotels and gastronomic restaurants. Another of the city’s appealing features is its Mediterranean climate, with warm and gloriously sunny weather throughout most of the year. La Croisette, the waterfront avenue, is about 2km long and is famous for its jaw-droppingly expensive chic boutiques, trendy cafés and prestigious hotels that surround it. 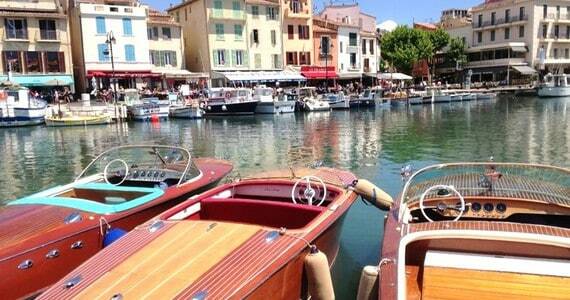 Cannes is the go-to destination for celebrity spotters! 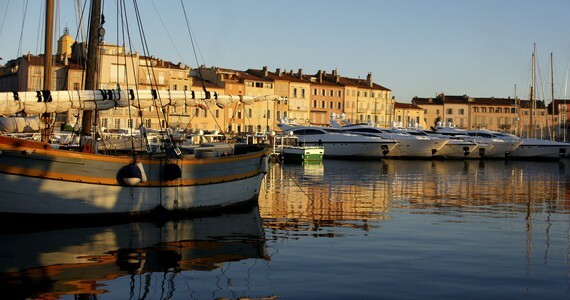 THE destination of the international jet set, Saint Tropez is one of the most famous summer resorts in Europe. Marvel at the biggest and most luxurious Yachts you will ever see in your life and enjoy a spot of people-watching on the bustling beaches. Bling is more of a religion than a trend here, and the glamour and glistening diamonds which adorn glitterati patrons of the trendy Nikki Beach’s glitterati is a jaw-droppingly impressive sight! An independent city-state on the Mediterranean coastline, Monaco is known as the summer playground of the rich and famous. The whole city oozes opulence and decadence, with upmarket casinos, extravagant hotels and designer boutiques. Super yachts flock to the harbour in their thousands every summer, and the lights of the city’s uber-trendy bars and nightclubs light the skies until the early hours of the morning. Monaco is of course home to the famous Grand Prix motor race, which attracts enthusiasts from across the globe every May. Nice, which is endearingly referred to as « la belle » by the French is a stunning, dynamic city, located in the South East of France, just a few kilometres from Monaco. In the 18th Century, the city was frequented by the English aristocracy, who arrived in droves to escape the harsh winters, and as a result, the main avenue on the seaside is called “la Promenade des Anglais” (literally, “the English Promenade”). The main square, the Place Masséna is the most beautiful square in the city, and its Neoclassical features are a “must see”. Place Garibaldi is another square which is well worth a visit. The Place Rossetti boasts an excellent range of restaurants and ice cream shops and has a lovely fountain at its centre. The flower market on the Cours Saleya is absolutely beautiful, and we also recommend visiting the Place du Palais where you can admire the city’s clock. The city’s pebble beaches stretch like an elegant necklace along the length of the bay, and visitors enjoy spending countless hours basking in the Riviera sunshine and sipping a perfectly chilled glass of pale Provence rosé. 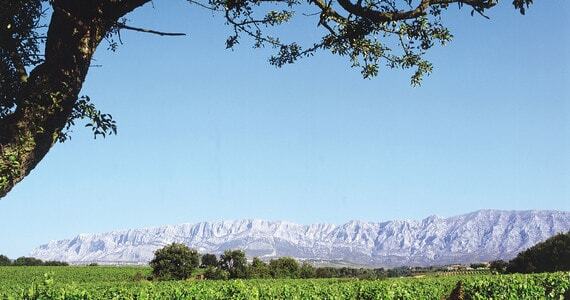 A completely different side of Provence to the glamour and beaches of Cannes, Saint Tropez and Monaco, the Camargue is a French natural region with incredible fauna and flora, gorgeous lagoons and astonishing expanses of marshland. There region is particularly sought-after due to it flamingos and wild horses. The Verdon Canyon is a stunning site crossed by the river Verdon at the heart of Provence. Considered one of Europe’s most beautiful canyons, it is the ideal place to relax away from the touristic Mediterranean coast and take an invigorating walk or swim into the clear blue lakes. For those who are a bit more adventurous, why not try some kayaking, hiking, rafting, canoeing or paragliding?